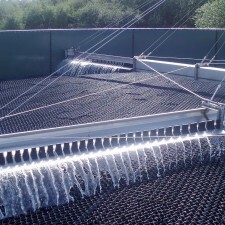 2H’s unique end-to-end development methodology combines unrivalled technology expertise and over 30 years’ experience in providing clients with best-in-class wastewater treatment solutions. 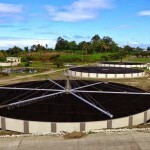 An effective wastewater treatment solution is all about the media. Because 2H has the industry’s widest and most innovative product range, we can provide each client with a customised solution precision built. One key area for the 2H methodology is that every decision we make at every stage of the development process. 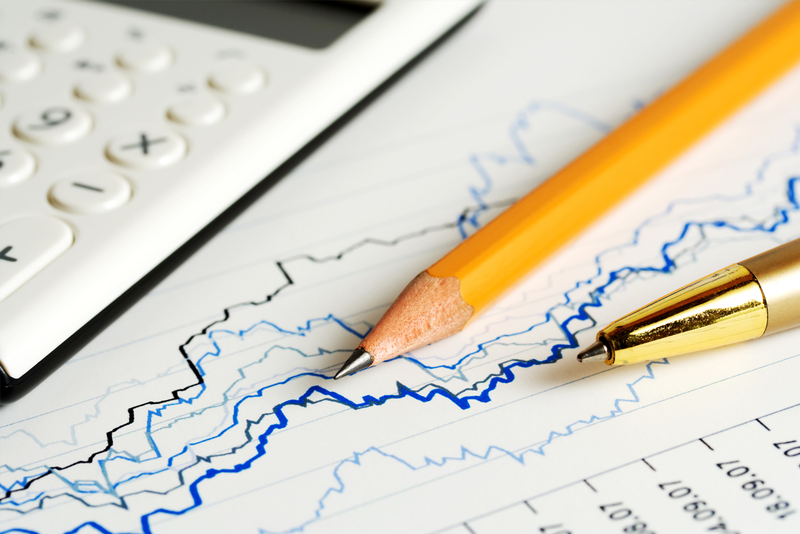 Each solution we design is purpose-built and the choice and combination of media has been carefully assessed. Our manufacturing process contains a number of steps to optimise the effectiveness of the products. 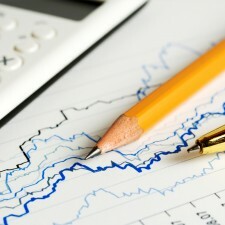 Our methodology is an integrated series of best-practice approaches, processes and actions. One key area for the 2H methodology is that every decision we make at every stage of the development process – from design and configuration through to build and installation – draws on the information and insights gained from an investigation and analysis of the client’s current situation. • is a new build required or could you upgrade your existing assets? • and do you want to improve the treatment process/quality to meet tighter discharge consents? 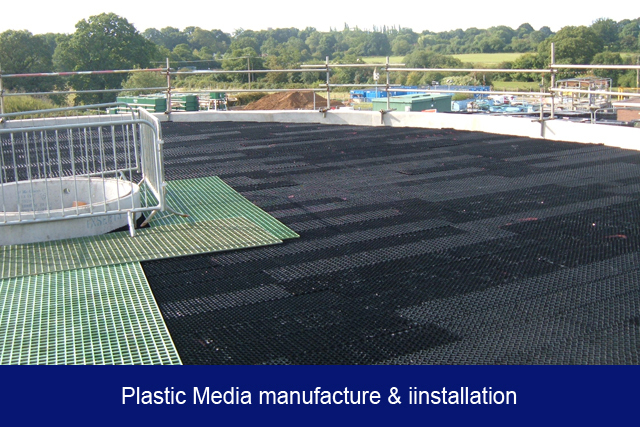 • can the solution benefit from the economic build, operation and maintenance advantages of plastic media? 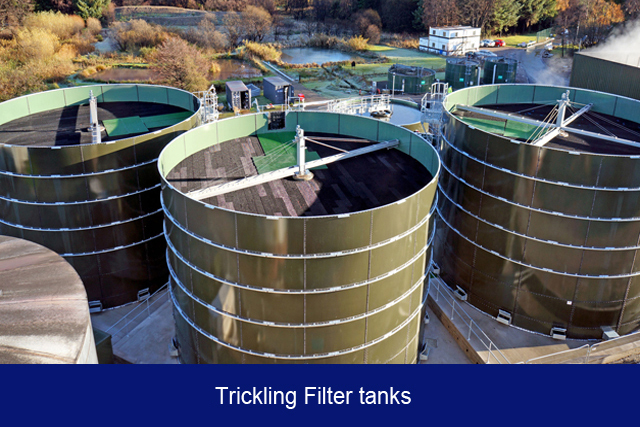 media depth; influent application; media flushing; filter ventilation and media installation. • Biological load (kg BOD/day); ammonia loading rate (kg Amm/day); flow rates (m3/day); minimum flow; dry weather flow; full flow to treatment; treatment rate required, e.g. % BOD removed; consent mg/litre of BOD or ammonia discharged from works; influent temperature (Min/Max). 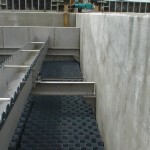 • produce supporting materials including a detailed installation plan and guidelines on managing and maintaining the solution. mean that we are able to design optimum package solutions specifically for your site. Our in-depth product knowledge adds another layer of intelligence and ensures you will get the most from the industry’s broadest, most extensive range of products and technology. the choice and combination of media has been carefully assessed to deliver the required operational objective. 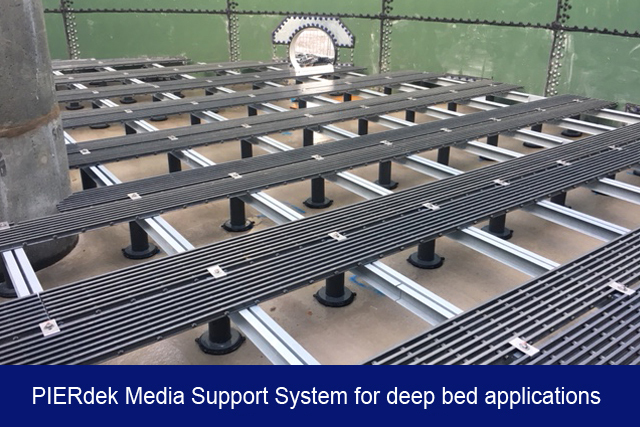 whilst the specific surface area and the void ratio are important indicators of the performance of the media, a critical factor of successful treatment is the way the media is configured. In other words, it is not just what you use, but how it is used. Our manufacturing process contains a number of steps to optimise the effectiveness of the products. We have pioneered a patented approach to processing PVC/PP/PVDF granulates that eradicates the negative impact of the ‘memory’ effect which is a result of stresses inside foils resulting from conventional manufacturing processes. The stress-points become increasingly obvious on renewed heating, ultimately resulting in the foil pulling back into its original, flat shape. The memory effect is eliminated by the 2H production method as foils are formed directly from the molten mass which does not provoke the same ‘stress’ reaction. The customer receives a product that will retain its shape both during the installation phase and in normal operating life. In addition, compounding allows modules to be tailored to meet specific demands such as colour, or for implementation in a particularly hot environment. The way in which the media is bonded together is an important element in ensuring the structural integrity. We use a unique welding processwhich ensures a secure bond. Another significant benefit of the welding process, particularly in large projects, is that it allows for on-site assembly. Welding can provide significant health and safety benefits compared to using chemical solvents. We have developed a patent process for manufacturing embossed PP foils allowing the foil, including embossing, to be extruded directly out of the molten mass. In addition to the production efficiencies this delivers, it also means that PP foils can be extruded 30% stronger at the edges and in the middle than at other points, thus providing much greater stability of the upper and lower edges of the fills. 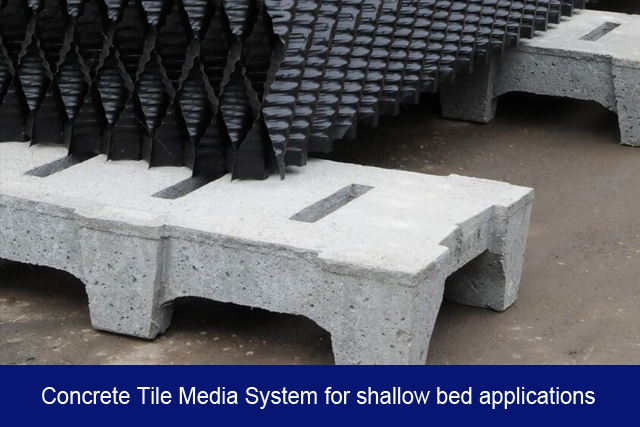 This optimised foil strength distribution, combined with our developed PP compound ensures an exceptional high resistance to erosion – something which is caused by the constant impact of water. We have devised a sealing process as part of its environmental focus which enables adhesive to be dispensed with. No adhesive, no solvent – no solvent emission and eliminating any points that can be attacked by hydrolysis – a process able to dissolve adhesive contacts. 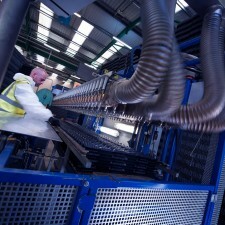 Instead, the films are systematically welded with up to 20,000 sealing points per m3 – depending on fill type – to ensure excellent foil connection and load bearing capabilities. This connection technology strength has been accredited by TÜV. is an integrated series of best-practice approaches, processes and actions underpinned by a flexible, modular framework. The precise implementation – what we do – is determined by the demands of the industry sector and, most importantly, the client. mean that we are able to design and install optimum package solutions specifically for your site. 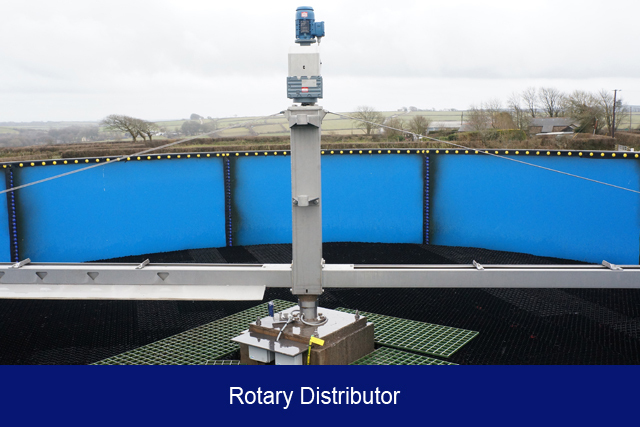 These package solutions can include the trickling filter tanks and media support along with the key process elements of the structured plastic media and rotary distributors (see images to right). This has the added benefit of allowing delivery and installation to be controlled by a single supplier, streamlining lines of communications that also simplifies the supply chain. that is only available from 2H – and it works. The results speak for themselves with customised solutions that exceed client expectations by delivering measurable results and maximum return on investment. 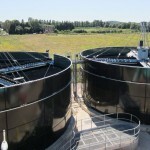 We are experts in running water and wastewater projects. See how we can help you. 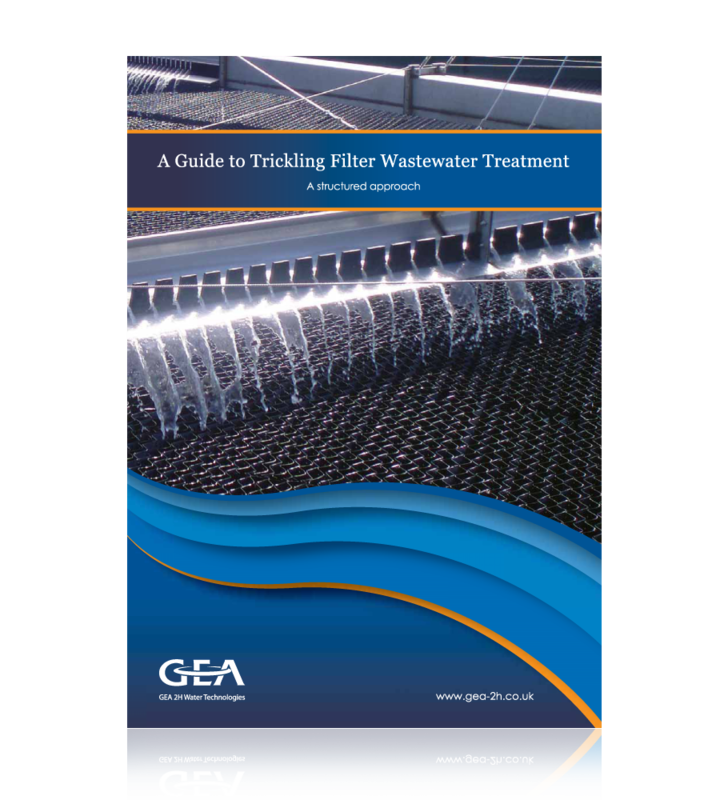 Download a complementary guide now.